Discussion in 'Automobilista - News & Announcements' started by Renato Simioni, Dec 28, 2017. Introducing Race Rank: Race Rank is the first step in an online ranking system for Automobilista. 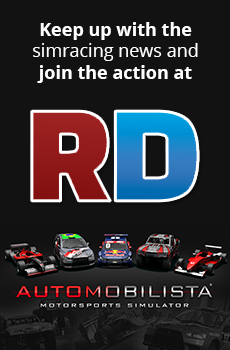 The scope of it’s release for Automobilista is to rate players as they race online and produce a leaderboard of all entrants. The aim for the leaderboard is not only to drivers from the fastest downwards, but also give prominence to those who race recently to keep people actively racing. A full weekly schedule will begin on 1/1/2018 and will be posted both here on the forums as well as virtualxperience.net. Added Game tag to results file with property "Automobilista"
Perfect gift for the end of this year. Great Reiza !!! Great work! Easily a top package in all of sim racing. Sad to see AMS come to an end, but so much to enjoy and excited to see what the future holds for Reiza. Here’s to a great 2018! Great guys, thanks for your dedication wish you all a very happy and prosperous new year. We still have a few treats coming..... drift cars and one more dlc. Apparently the dlc will be branded content of some sort... I am curious to see which cars they are creating! Amazing, amazing stuff! Thank you! So with this final and fantastic build still some cars in replays don't have drivers with moving arms but anyway. Is there a way to configure the "Tow to pits" time? Yes i noticed that but i wanted to know if we can change the time so that if you press ESC you can´t go back to the track again in that session. eg. you crash in qualify and cannot get back to the track. In a 15minute qualify you could make it 15min tow time. This tow time is already a GREAT IMPROVEMENT to simracing!! Yes, tow time is a nice addition. On the 'semi-realistic' setting it costs about 3 minutes on average before you can drive again; it depends on the distance to the pits. I think thats about enough punishment. On realistic it's about double that time. I don't think tow time depends on damage (yet), adding repair time could then just be added on top of the tow time. I tried limit tyre sets (3), works well for some cars, but there may be a bug when there are multiple compounds, i.e. F1U or F1C. When pressing the information button 'i', the current tyre is suddenly not designated as 'new' anymore, and then you can press arrow right for a new set, even beyond the limitation number. And when pressing the left arrow going back to earlier sets, some compounds are not available anymore (at one instance only hard compounds could be selected). So it may need some finetuning. The best thing about it is that you can test tyre degradation with breaks in between. Tried an official multiplayer race, but I was the only driver so couldn't test the ranking . Cool kart track. Number of tyre sets was indicated as 'default', but what does that mean? Unlimited? Thanks a lot for all the updates.